The talent of DJ’ing cannot be held by anyone, it takes years of practice, skill and motivation to stretch out there to the top. A man on that road is as we now him best…..
Subaholic's . From the early memories he has raised in the suburbs of North Cyprus Subaholic's captured the passion for DJ’ing at the tender age of 9. Growing on from the good ear he had for music he instantly found himself mesmerised with the cult classics of Jungle and Reggae. This genre gave Subaholic's the opportunity to stretch out his imagination and talent as he constantly through himself in his room practising until dawn until he could mix together a beat he could call his own. Once the foundations of this raw talent had been established Subaholic's waited for the right opportunity to establish himself, and what better occasion then at school events and local parties. However the turn of the millennium had brunt with itself luck and prosperity for Subaholic's as he had established himself as the DJ of the school and had now gained residency at one of the local bars Good Fellows. His reputation was slowly but surely increasing as his popularity transformed him into a commercial talent as his DJ’ing image was now recognised by many, as he was given his first set in the popular resort of Ayia Napa by capturing the residency for club Sky Bar in 2006. From there his image in this club scene escalated further by capturing the residency for Ambassaden in 2007, following this in 2008 his talent shone even more holding his residency in club Ambassaden and also being the host in 5 big events in club Abyss. Just like a domino Subaholic's flowed with his success as he had now played his biggest set yet in 2009 in Castle Club whilst at the same time juggling his residency in club Havana Bar and Club Ice, while at the same time holding 3 big events in Club Black and White. Subaholic's has shown his talent for brining in a crowd, but has he really got the skill to mix together a beat?? 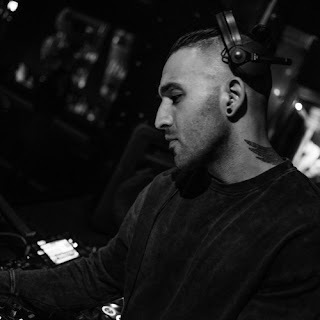 Indeed he has, as he is not just a talent relying on his reputation, he has shown what he can do when he become runner up amongst 23 others in a DJing competition in Kyrenia Cyprus. Many will think coming 2nd is not an achievement, but Subaholic's took more from this loosing out then he would have winning, as this gave him the motivation to drive further and to really hit the limelight. Just to show the transformation Subaholic's has gone from the school DJ to an established Ayia Napa regular. Chase & Status, Ms. Dynamite, DJ Woody, DJ D'loose, DJ EZ, Dj Cameo, Dj Luck & MC Neat, Crazy Cousins, Rossi B & Luca, Dj Principal, Twista DJ, MasterStepz, Heartless Crew, Dj Pioneer, Play Entz, Top Boyz, Martin Larner, Frisky Dj, Scottie B, Marcus Nasty, MC Kaos, MC Breakfast, MC Champagne Bubblee,MC Versatile, MC Kofi B, Ayia Napa Man Ibz, Coldstepz, Pristine, KIG Family, Gracious K, Young N Fly, MC Kie, MC Creed, are some of the crews, djs and mc's that Sega Type had worked with. Ralvero, Dr. Alban, Hot Rod, DJ Nabz, Major Lazer, Cali Swag District，Bang La Decks，Inna are to name a few from rest of the world.